Now that we’re into June it’s about time I posted a catch up blog for what I’ve been up to in May. First up on the 10th was the Keeping Abreast ‘Sweet Charity’ Ball at the Holiday Inn Norwich-North. I have supported this charity since my early days as a toastmaster but unfortunately for the past couple of years I had weddings booked before I knew the date of the annual ball. It was good to be back guiding everyone through another very successful event. Once again it was great to work with top photographer Julia Holland and you can see photo’s of the event here KA Ball pictures. Money was raised through a raffle, heads and tails and an auction conducted by Bryan Baxter from Auction House. After a great meal served by the Holiday Inn banquet hosts resplendent in pink KA tee-shirts, the evening was rounded off with entertainment from The Collective, one of Norfolk’s favourite wedding and function bands. 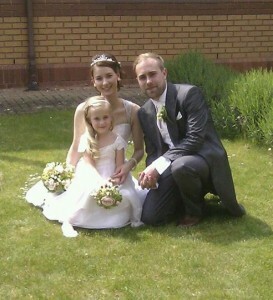 The following week-end (17th) it was wedding time with Daniel & Laura and their guests at The Brook Hotel in Norwich. Laura & Daniel’s little girl stole the show. This is the first time I had been toastmaster for a function at the Brook and I am pleased to say it was a pleasure to work alongside their team. It was also the first time I have worked with photographer Paul Watts of Portraits Plus and I have no hesitation in recommending him. The table plan was ‘interesting’ to say the least. Each one was named after a super hero or group – Batman, Spider Man, Thor, Iron Man, Captain America, X Men, Fantastic Four, Incredible Hulk and the Sinister 6. Thankfully the guests weren’t expected to dress accordingly! After a Friday and Saturday night working for functions at the Holiday Inn, I traveled on Sunday 25th to the Brome Grange wedding show. Julie & Sarah had done a great job in preparing the venue and it was good to meet up again with photographer Lisa North and also make some new friends. Three bookings from Brome Grange for next year is a result! I met the following week with Lee & Pinar to go over plans for their wedding in August. Pinar is originally from Turkey and Lee works off shore so we had to fit a meeting in when he was home for a few days. All sorted now so looking forward to another lovely day. I managed to fit in a lunch time get together with fellow Norfolk toastmasters John Driscoll and Kim Sheldrick. It was good to swap stories and ideas with each other and we plan to do so again in July. 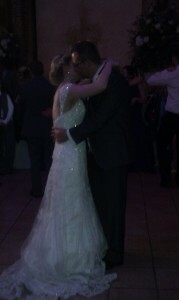 On the table next to us were a group of young ladies and we quickly found out that one was getting married next year. She left with three business cards of course!! 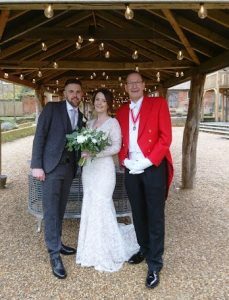 Finally this month I was toastmaster for Louise & Leon wedding at Elms Barn. it was a fantastic day with a lovely couple and a great bunch of guests who were really up for enjoying the day. It was also a very emotional occasion as, without going into details, one year ago to the day, Leon woke up from a coma after an incident on a night out in Norwich. 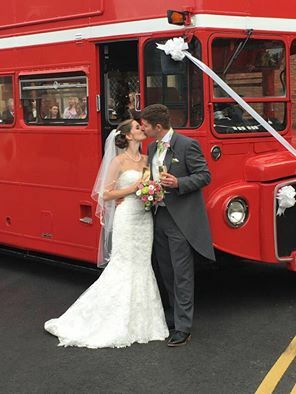 Louise and his best man had never left his bedside all the time he was in the coma, so as you can imagine, there were tears all round during the speeches. It was wonderful to see how all their family and friends had supported them through a very difficult time. Together with the photographer, Paul Peek, and videographer, Richard Howes, we all commented that this would be a wedding we wouldn’t forget for some time to come. 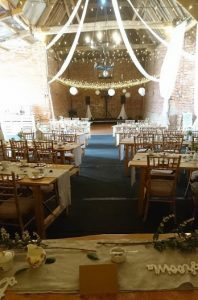 The guests were so enthusiastic that after the first dance, when I said my goodbyes, they all started chanting “Bob, Bob, Bob, Bob……” A bit embarrassing but nice to know they appreciated my services. Elms Barn is a lovely setting, with a wonderful rose garden for photo’s. Julie, Alison and her team run a tight ship, and we worked together well. 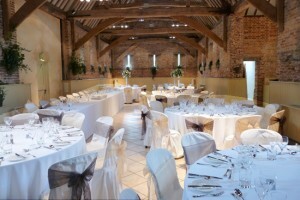 I look forward to returning there later in the year for another wedding. This entry was posted in Diary on June 9, 2014 by Bob Lloyd.